Rajamouli's upcoming multi starrer Rrr is the most talked project not only in Tollywood but also across the country. 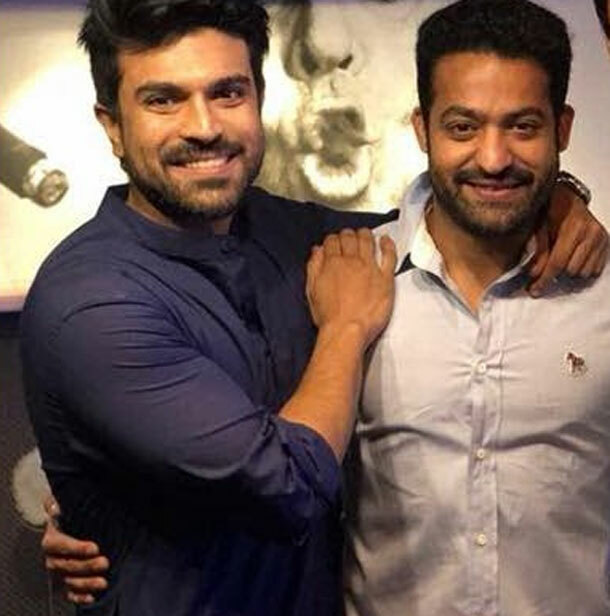 Charan and NTR are undergoing massive transformation and are getting ready to surprise movie lovers. The film's shooting is progressing in a secret manner in the extravagant sets erected in RFC, Hyderabad. The leaked stills though shocked Rrr makers are driving movie lovers crazy. Speculation is increasing on Rrr heroines. Now another interesting rumor has it that Rajamouli is planning to cast a Bollywood beauty for Ram Charan. Names of Alia Bhatt and Parineeti Chopra are doing rounds. Rajamouli is said to be planning to cast a Hollywood hottie opposite NTR. Sources say NTR as per the story will fall in love with a foreigner. Fans are getting super excited on hearing this. The film has two timelines and in 1940s timeline NTR will be seen as a poor guy while Ram Charan as a rich Zamindar, while in 2019 timeline, NTR and Charan will be seen as brothers.